Mark your calendar guys! Bollywood powerhouse Varun Dhawan on Monday announced the release date of Remo D’Souza’s next dance film but kept its name under wraps. New Delhi: Mark your calendar guys! 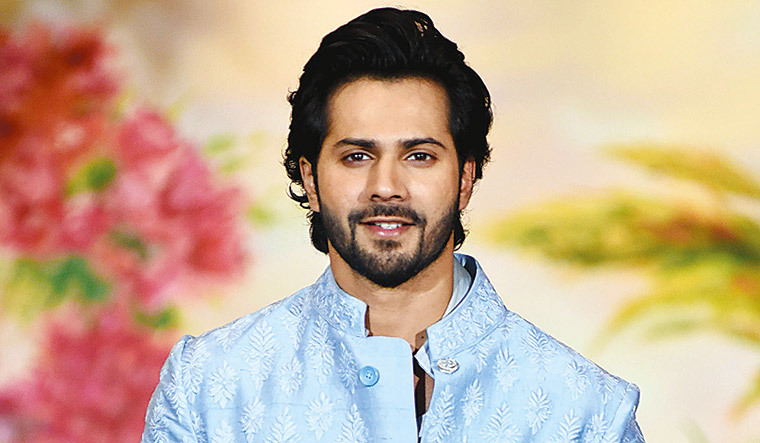 Bollywood powerhouse Varun Dhawan on Monday announced the release date of Remo D’Souza’s next dance film but kept its name&nbsp;under wraps. The peppy new poster shows Varun flaunting his abs and perfectly chiselled body. He can be seen in a full pumped up mode striking a catapulting dance pose with his head down, legs crossed and arms spread. The actor is seen donning a shiny golden shirt and black pants with funky shoes and coloured hair. One “step” closer to the name. This is Varun’s second collaboration with choreographer-filmmaker Remo. The duo had earlier teamed up for second instalment of the hit franchise ‘ABCD’. Apart from Varun, the untitled dance film also stars Shraddha Kapoor in the lead role. Shraddha was also seen sharing screen space with Varun in ‘ABCD 2’. Along with the lead pair, the upcoming film also features Nora Fatehi, Aparshakti Khurana and Shakti Mohan in pivotal roles. According to various media reports, Shraddha will be seen as a dancer from Pakistan, while Varun will be playing a dancer from Punjab. After wrapping up the first schedule of the film in Amritsar, the next schedule of the film will kick off in London on 10 February. Reportedly, Katrina Kaif was to play the leading lady in the film. In fact, Varun and Katrina recently appeared together on the popular chat show ‘Koffee With Karan’ to promote their dance drama. However, Katrina had to back out of the project because she was busy shooting for 'Bharat’. Produced by Bhushan Kumar, Lizelle D’Souza and Krishan Kumar, the film is all set to hit the theatres on November 8. What is life without a few" HICCUPS"